A few months back, a study by Gartner revealed that with a 166.8 percent increase in the fourth quarter of 2013, India exhibited the highest Smartphone sales growth among the countries tracked. In simple words it is clear from the study that India is the world’s fastest growing Smartphone market and that it is high time for marketers in India to have a dedicated section for mobile while strategizing a marketing policy. But that not just all and a new study by Ericsson presents a new data that is even more useful for marketers who always want to keep themselves updated, as to where their customers spend their maximum time, in order to plan and execute things accordingly. 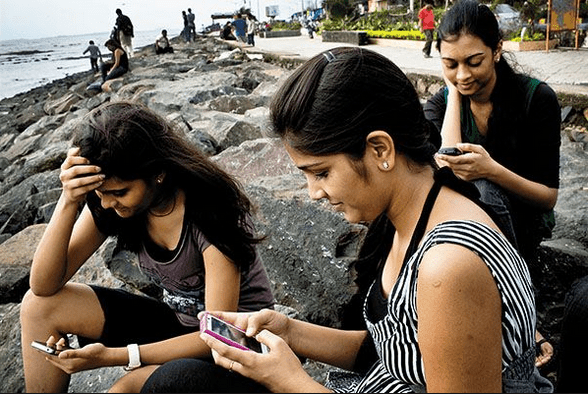 This new study conducted last week revealed that Indian consumers on an average spend over three hours a day on their smartphones and 25 percent consumers check their phones over 100 times a day. As per the study there is 20 percent increase in terms of time spent by users on smartphones and a 57 percent increase in app usage in India over last two years. In fact, almost one-third of the time spent on smartphones is for using apps and this trend as per the study is expected to continue even in future too. “Social and chat apps are the reason why most new users buy a smartphone. However, 40 percent mature smartphone users say their usage is no longer limited to social purposes. (At least) 24 percent of smartphone owners use mobile apps such as WhatsApp and WeChat for business purposes to sell products and services, expanding their reach to new customers,” the study revealed. “Maturity is an important dimension in mobile broadband behaviour. Mature users consume almost twice as much data as new users. As consumers explore more apps and services relevant to their interests and needs, mobile broadband usage is set to grow,” Ajay Gupta, vice president-strategy and marketing, Ericsson India said. Smartphone users with high-speed data access spend more time while streaming videos and spend twice the browsing time. On the other hand, those with lower speeds spend 30 per cent more time on social media, two times on chat apps and close to 23 minutes on offline games.